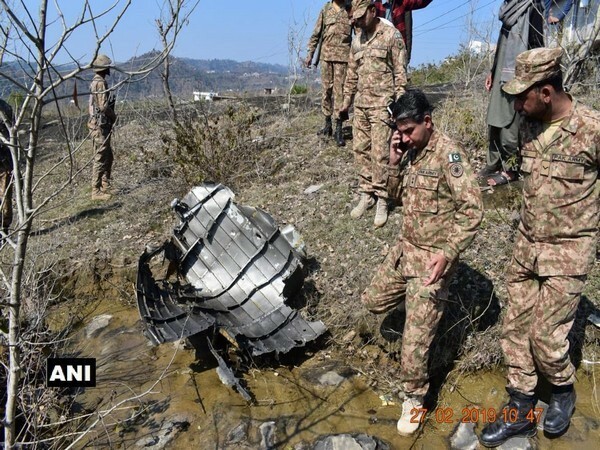 Islamabad [Pakistan], Feb 28 (ANI): Wreckage of the F-16 Pakistan Air Force jet, which was shot down by the Indian Air Force on Wednesday, was seen being inspected by Pakistan military officers in PoK, sources said on Thursday. Islamabad (Pakistan) [India], Feb 27 (ANI): Amid escalating tensions, Pakistan Army on Wednesday said it does not want a war with India as it is not a solution to problems. New Delhi [India], Oct 10 (NewsVoir): Lockheed Martin Corp. and Tata Advanced Systems Limited (TASL) are hosting an F-16 industry supplier conference this week in India. New Delhi [India], Sep 4 (NewsVoir): Lockheed Martin Corp. on Tuesday announced its agreement to commence production of F-16 wings in India. New Delhi [India], July 06 (ANI): Ahead of the much-awaited Quarter-Final encounters in the FIFA World Cup 2018, featuring Brazil vs Belgium, and Uruguay vs France on Friday, Google dedicated its doodle to depict the emotions that the 'beautiful game' invokes in each of those nations. Las Vegas [United States], April 5 (ANI): A US Air Force Thunderbirds pilot has been killed as his F-16 jet crashed at Nellis Air Force Base outside of Las Vegas, on Wednesday. Washington D.C. [U.S.A.] Oct 18 (ANI): The United States on Tuesday approved a potential $2.4 billion upgrade of Greek F-16 fighter jets after a meeting between country's Prime Minister Alexi Tsipras and President Donald Trump. Washington D. C. [United States], Oct.4 (ANI): A new book by former U.S. Senator Larry Pressler has claimed that an American firm lobbied to get F-16 fighter jets delivered for Pakistan in 2016 and also advocated for India to block the proposed sale. New Delhi [India], Sep 6 (ANI): A United States fighting plane crashed on Tuesday near Safford, Arizona. Rescue operations are underway for the pilot.